Draft: 2015, Tampa Bay Rays, 3rd rd. Brandon discovered his key to success while in the minor leagues, which he shared with the Tampa Bay Times…"A big thing has been eating applesauce. When I got to Durham, I was struggling and they had those GoGo squeezes in the fridge and I was like, 'Ah, applesauce. I haven't had a lot of fruits lately.' Had one, ended up hitting a home run. Had three hits that day. And I was like, 'I've got to have applesauce tomorrow.' The next day, I hit two home runs, and I just absolutely took off"...Brandon was invited by the Rays to attend this year's Rookie Development Program…he won a rock-paper-scissors "rock off" to take the competition for the American League...As a sophomore in college, Maryland reached the College World Series regionals for the first time in almost 50 years…the team traveled to face South Carolina, which had a 28-game postseason home winning streak…the Terrapins swept the regional and dogpiled on the field to celebrate...A "major league moment" for Lowe came when Brett Gardner made a tough play in center against him at Yankee Stadium…Brandon thought back to the past 8-9 years he'd been a Yankees fan and played as Gardner in video games…he called and told his Yankees fan friends that "he just made one of those plays against me in real life"…Brandon notched his first hit at Yankee Stadium with many of his college coaches and teammates there to see it...He likes to golf and play video games…he and his wife, Madison, adopted a puppy named Collie this offseason, a miniature bernedoodle-a mix of a Bernese mountain dog and poodle. Selected from Triple-A Durham on Aug 4 and remained with the Rays through season's end, his first career major league action…appeared in 43 games and made 36 starts (24-2B, 7-LF, 5-RF)...Totaled 28 HR and 101 RBI between Double-A Montgomery, Durham and the Rays, compared to 16 HR and 100 RBI in 221 games over his first two minor league seasons (2016-17)...Hit 5 HR in 26 games (21 starts) in September, and all 6 HR came in his last 28 games…his last 3 HR came off left-handed pitchers...Hit .297/.391/.558 (113-for-380) with 31 2B, 22 HR and 76 RBI in 100 games between Montgomery and Durham, with a June 7 promotion to Triple-A…at the time of his selection to the majors, his 31 2B tied for 7th among full-season minor leaguers and his 54 XBH ranked 5th...Began his major league career hitless through 19 AB, 2nd-longest to begin a career in club history, behind Stephen Vogt (0-for-25) in 2012… after snapping the skid on Aug 15, hit .273/.357/ .527 (30-for-110) with 6 HR and 25 RBI in 37 games (30 starts) through season's end...On Aug 5 vs. CWS, became the second player since Baseball Reference data is available (1908) to play both left field and second base in his major league debut, following OAK Tyler Ladendorf on April 8, 2015 vs. TEX....On Aug 15 at NYY, recorded his first career hit, a 2nd-inning RBI single off Luis Cessa…on Aug 28 at ATL, connected for his first career home run, on a 2-2 pitch from Julio Teheran in the 6th inning...Homered in back-to-back games from Sep 1-2 at CLE, and three consecutive starts from Aug 28-Sep 2 at ATL/CLE...Began the season with Montgomery and was named to the Southern League midseason All-Star Team…ranked 2nd among Rays minor leaguers with 22 HR and tied for 4th with 76 RBI...Named to the Rays Organizational All-Star Team by MLB.com...Ranked by Baseball America as the No. 93 overall prospect in the minors following the season...was the No. 8 prospect in the Rays system…named by the publication to its Triple-A All-Star Team. 4 de agosto de 2018 Tampa Bay Rays seleccionado el contrato de 2B Brandon Lowe de Durham Bulls. 7 de junio de 2018 LF Brandon Lowe asignado a Durham Bulls de Montgomery Biscuits. 23 de febrero de 2018 1B Brandon Lowe asignado a Tampa Bay Rays. 2 de agosto de 2017 LF Brandon Lowe asignado a Montgomery Biscuits de Charlotte Stone Crabs. 19 de junio de 2017 Charlotte Stone Crabs activan a 2B Brandon Lowe de la 7-d&iacute;a lista de deshabilitado. 12 de junio de 2017 Charlotte Stone Crabs ponen a 2B Brandon Lowe on the 7-d&iacute;a lista de deshabilitado retroactivo al June 6, 2017. 4 de abril de 2017 2B Brandon Lowe asignado a Charlotte Stone Crabs de Bowling Green Hot Rods. 5 de abril de 2016 2B Brandon Lowe asignado a Bowling Green Hot Rods. 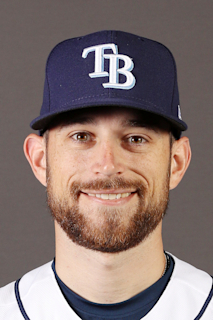 25 de junio de 2015 Tampa Bay Rays firmado 2B Brandon Lowe.